Alpha Poste is custom typeface designed by Jean François Porchez in January 2005 for the identity and logotype of La Banque Postale launched in January 2006 in France as a subdivision of Groupe La Poste. 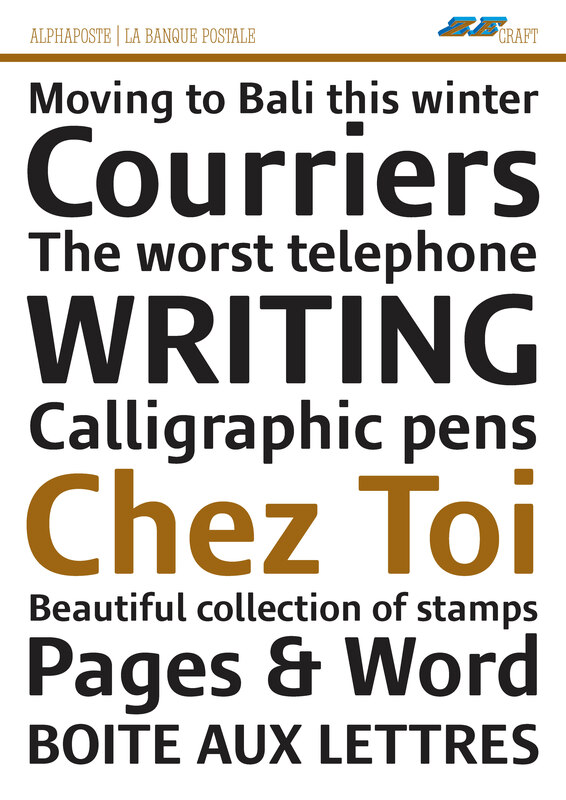 The style is a Sanserif version of the original lettering designed by Jean François Porchez back in 1993. This new and exclusive typeface (who will never be available for others uses) developed in OpenType version is used for the branding of the various activities of the new bank.